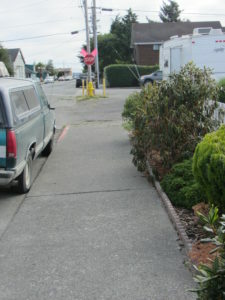 Actually this one isn’t so much an obstruction as just an end to the sidewalk in downtown Arcata. 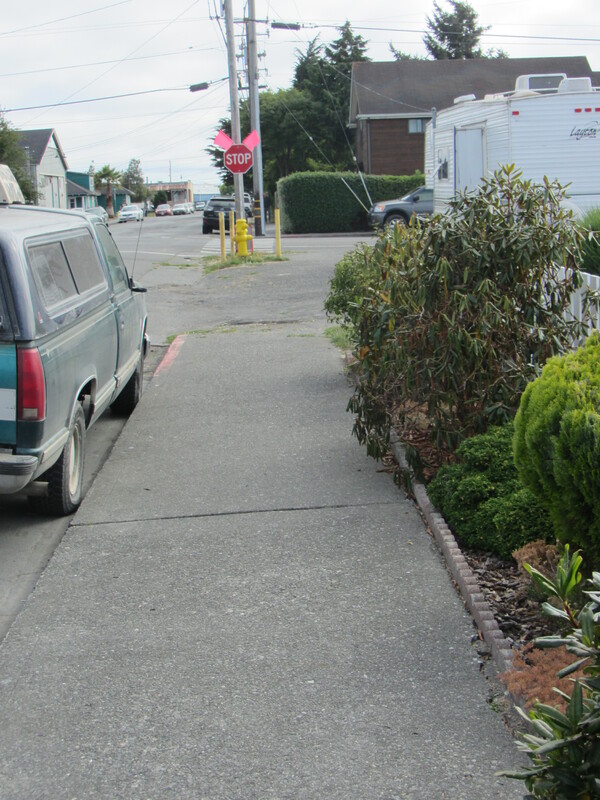 This lot is a small mobile home park, and clearly substantial driveways are needed on this lot to allow mobile homes and RVs to enter and exit. But it’s just unacceptable to have no sidewalk whatsoever in a dense downtown area like this. Send your photos of bike lane or sidewalk obstructions to colin@transportationpriorities.org. The Commission’s deliberations took place over the course of two meetings last week, but they eventually recommended that City Council adopt the new General Plan without very many substantial changes. CRTP generally supports the new General Plan, but has a few reservations. You can read our comments here. The meeting will be on Monday, October 1, at 11:30 am at RCEA’s Eureka offices. Or you can attend online via the link above. AB 2363, substantially watered down from its original version, might still eventually result in some changes to California’s crazy and counterproductive method of setting speed limits. They know everybody likes to pick on Caltrans – often with good reason – but argue that’s not a good enough justification to repeal the gas tax. We have to agree. On a related note, our friends over at TransForm have released their November 2018 voter guide (which of course also calls for a no vote on Prop 6). Yup, they’re already looking for ways to even further cripple responsible transportation funding in the future. Oh, and kill high-speed rail, of course. ← Plaza Bike Racks, Eureka General Plan, Unmet Transit Needs and More!